A TV animation series based on a popular comic book about the everyday life of a high school boy who simply doesn’t want to do anything. 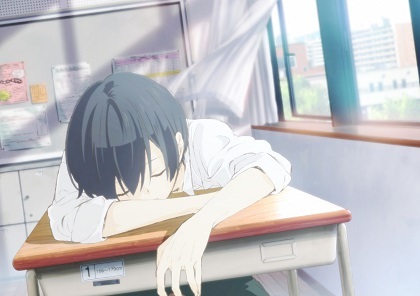 Tanaka who is a high school student simply is a slacker and does not want to do anything at all. He loves to sleep during classes and prefers not moving to save energy. One day he meets his classmate, Ota who is exactly the opposite. Ota is energetic and leader in class. He becomes friends with Tanaka and tries to make him start moving. Based on a popular comic from Nozomi Uda.